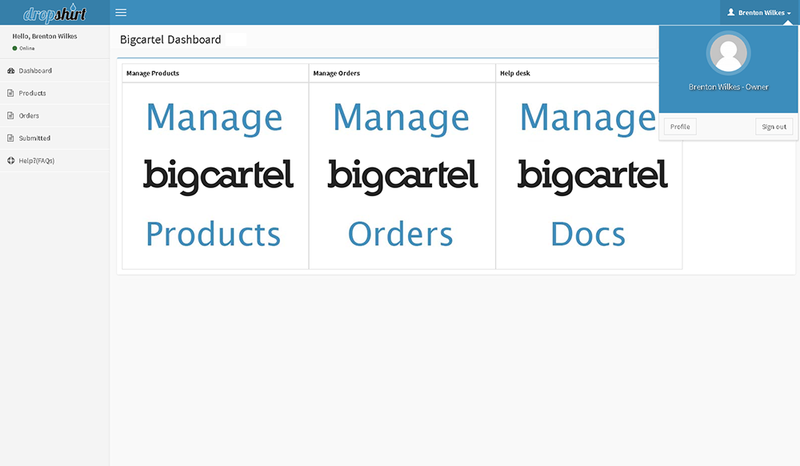 Welcome to the Dropshirt ​Big Cartel Dashboard. 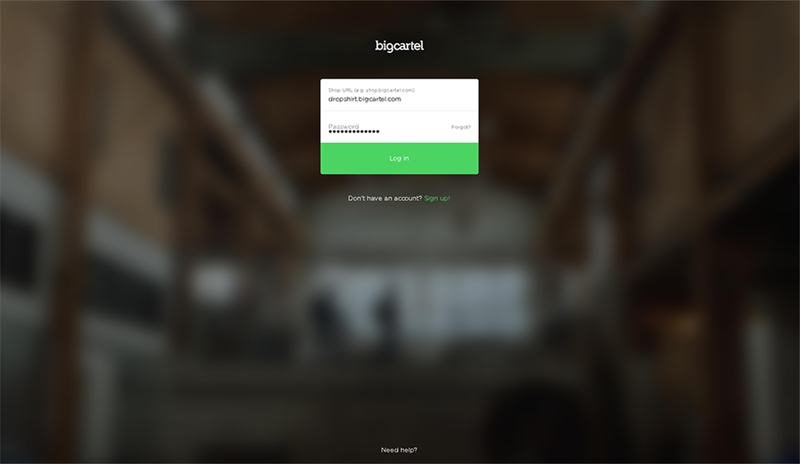 ​​The ​Big Cartel App offers a​ simple solution for users to connect ​their store to a t-shirt fulfilment centre at wholesale prices. ​Dropshirt App connects your products to a production house. When your customer orders an enabled product, the order will show ​in our dashboard marked "Pending Customer Approval". The App then ​offers a simple - one click approval process and push to production line - all in one button. It will NOT build you​r website or ​start your online business. This App does NOT create products for you. It simply connects your products to our production house. ​Big Cartel makes this part really simple. Head on over to your Profile Page located in the top right corner, under your name. Click on the link that says " Click here to install Drop Shirt " See Below. ​This will send you over to Big Cartel to ​approve the Dro​pshirt app. Just login to your store. and follow the prompts. See details below. 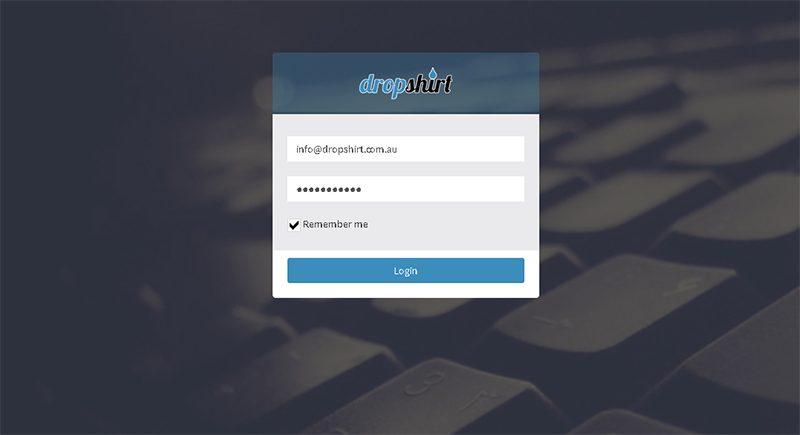 ​After logging in, you will see a screen that asks if you want at allow Dropshirt to access certain parts of your store. Click "Allow" to make your connection with the App. ​Shortly after that, you should be returned back to the dashboard to continue with your products. Your profile page will show ​you​ are connected. ​To see the products you have created in Big Cartel, click on the Products link in the left navigation column. ​On this page you can choose which products you want to "enable" for Drop shipping. Click the "Add Drop Shipping" link on the product you want to Enable for Drop Shipping. ​​On this page you can add all the additional information about your product​. We call them, custom print fields. ​Click the "Edit Custom Fields" button ​to Add or Edit your custom print fields. The App lets you control the print data associated with a product. Tips: You can edit these Custom Print Fields at any time. The print data from these fields are used for every subsequent order. In the case that these details are updated. The new information will automatically be used on the next order. That's it for the Products! Drop Shipping is now Enabled. Your brand new product is now connected to our print house. Ready for an order.